Looking For Dodge Cummins Fuel Injectors? 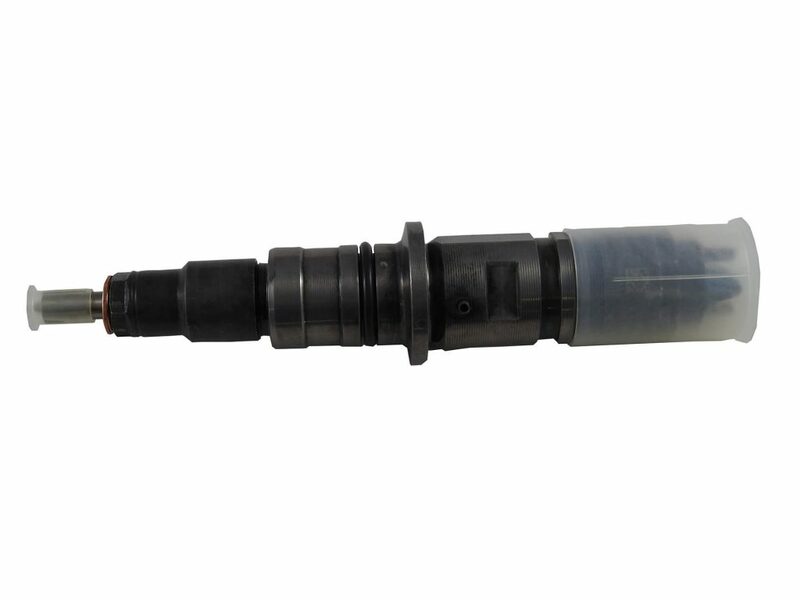 Our Dodge Cummins fuel injectors optimize fuel efficiency, emission performance, reliability, smooth operation, engine tuning, power output, and cost of maintenance. In case you’re wondering which the best place to buy high performance Dodge Cummins diesel fuel injector kits is, look no further: here at Taylor Diesel we offer Stock Common Rail Injectors, as well as sets of 6 Surefire High Performance Fuel Injectors that will provide you with an instant boost performance of 60 HP or more. They fit the engines of the 2003, 2004 and 2004.5 Dodge Cummins models. All Surefire Injector parts are OEM-tested and have passed qualified test benches. All the parts are tested and calibrated on the original engine manufacturer-qualified testing equipment. They outperform its competitors without any additional upgrades. They guarantee a boost of at least 60 additional rear wheel horsepower. They are made of high quality performance tips, and not the cheap extrude hone tips that cause the metal to flake, flow in excess and cracking. They come with a 1 year Taylor Diesel Warranty. Taylor Diesel Group has been in the business since 1945. We make the best aftermarket 5.9 Dodge diesel injectors on the market. We stand behind our product and have also been to O.E. Certified training on common rail injectors. 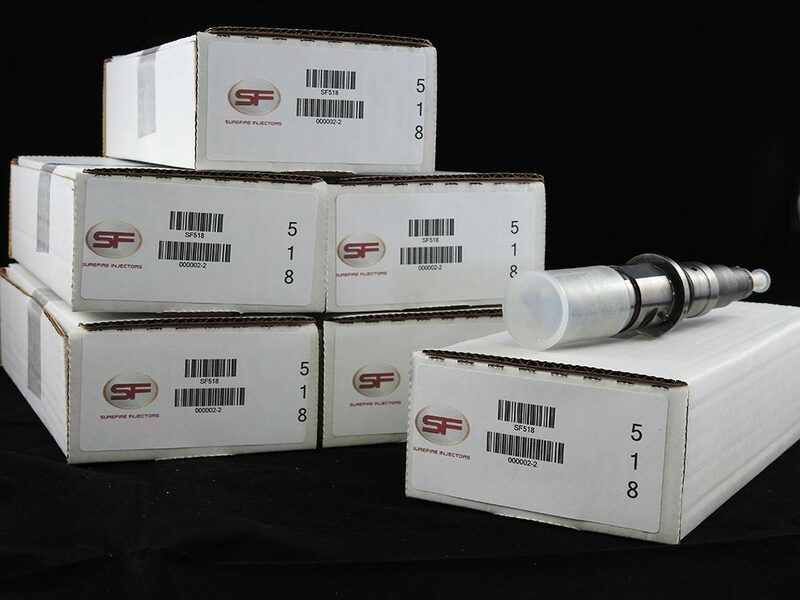 The stock fuel injectors come with a two year warranty and a 1 year warranty on all high-output performance injectors. We’re not just an online company – we have 8 locations in 4 states. If you encounter any kind of problem, you can also visit one of our stores. For Dodge Ram Diesel fuel injectors for sale, visit the Taylor Diesel website (this is where to buy Dodge Cummins 5.9L fuel injectors) for online purchases. 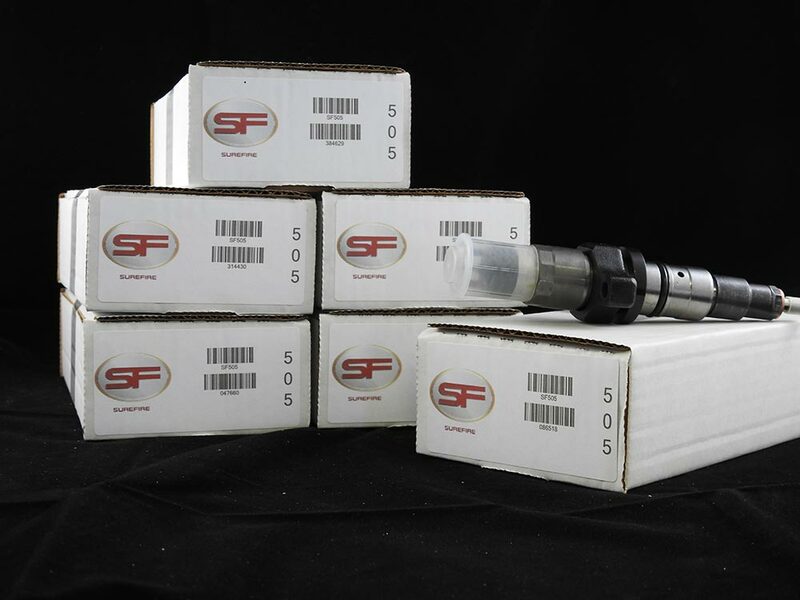 Also check out other fuel injector products we have in stock here. 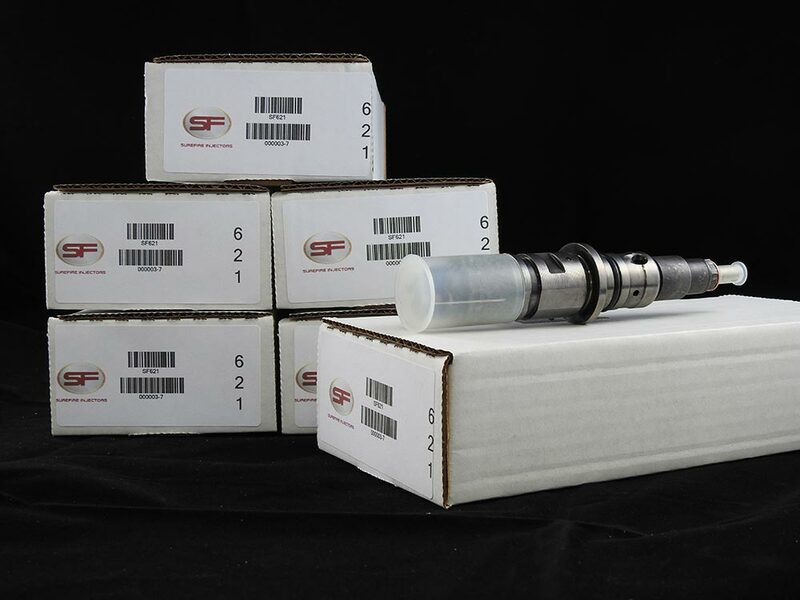 The Dodge 2500 Cummins common rail fuel injector sets are also available on our online retail store. It’s always recommended to replace your Injector Connector Tube, anytime an injector is replaced. We also offer turbochargers; you’ll find them here. 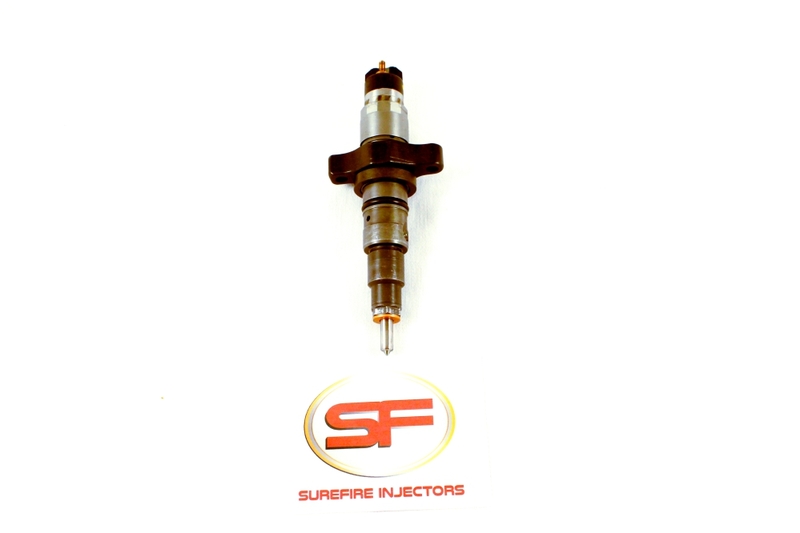 Are you looking for the best price for 2003 dodge ram 3500 cummins fuel injectors? Buy Dodge Cummins Fuel Injectors today on the official Taylor Diesel website. You can also call Taylor Diesel on this number (888) 888-4717 if you have any question or looking for the best place to buy high performance Dodge Cummins diesel fuel injector kits. The injection system is one of the keys of your car’s functioning, since it is responsible for injecting the necessary fuel in an exact amount and at a specific and precise moment. A good functioning of the injection system can make your truck’s engine work wonders, while a bad functioning can result in your truck not running at all, so it really is a very important part of your automobile. An injection system has an electric part, which determines the amount of fuel that needs to be injected and when exactly it needs to be injected, and the injectors, which execute the indications of the car’s computer. If the injectors are not in good shape, your car’s engine will not work properly, or even stop completely from functioning. In order to avoid reaching this point, it is absolutely necessary to carry out periodic maintenance revisions to your car. One of the things that take part in the injectors good functioning is the fuel filter: don’t forget to replace it then the manufacturer says so, since a blocked filter will make the fuel come in with impurities, damaging the injectors. Another way of taking care of your injectors is not letting the fuel level get to the minimum, since the last reserves of fuel are dirtier, because of all of the dirt that has been accumulating at the fuel tank. How to detect if your injectors are failing? Even on the best maintained trucks, the engine bay is an incredibly harsh environment. The most common reasons for injector failures are every day wear-and-tear and all the contaminants and impurities present in low quality fuel, which damage the precision internals. If you feel like your truck is not responding with the usual smoothness during acceleration or deceleration, it can mean that there is an accumulation of dirtiness on the injection, causing the fuel not to enter the engine correctly. When an injector is failing, you will feel a reduction on the engine’s power and a considerable increase on your vehicle’s usual fuel consumption. If the injectors are severely blocked, they will stop filling fuel into the engine, causing the engine to start failing. If this is your case, then take your truck to a mechanic immediately in order to get your injectors inspected, cleaned up, or replaced. Bad fuel injectors cause white smoke emissions through the exhaust system, indicating that there’s not enough fuel in the engine. This can be as a result of at least one of the fuel injectors getting stuck shut. When bad fuel injectors are hang or stuck open, excessive fuel is dumped into the cylinder. Unlike the previous case, black smoke emissions occur through the exhaust system. Bad fuel injectors can also lead to substantially damaged engines or trucks failing to run. When engines get damaged, it means cylinder walls or pistons could be broken. In worst case scenarios, damages on engines can cause them to burn up. When contaminated fuel clogs injectors, they either shut or get stuck open, hence rendering them bad. Injector tips can blow off if fuel is contaminated with water, leading to extreme over-fueling with possible serious damages to the engine. 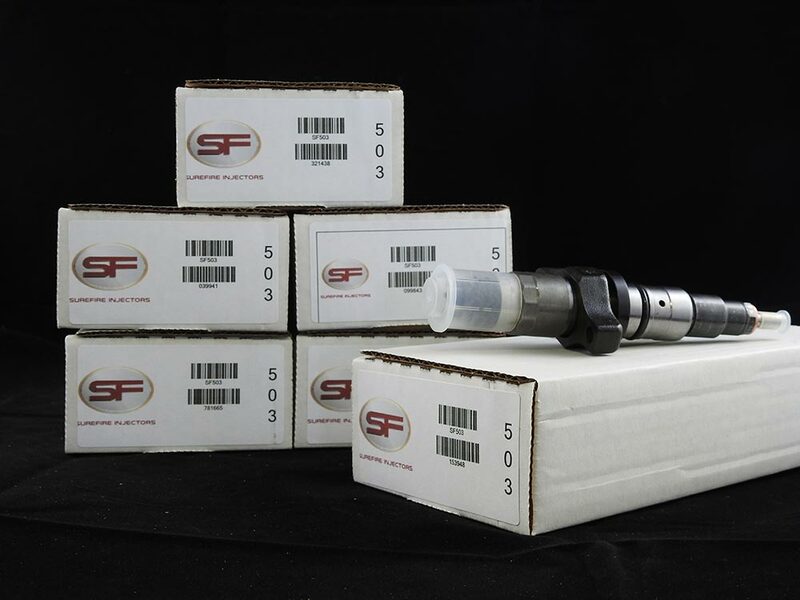 In addition to offering Dodge 2500 Cummins common rail fuel injector sets, we also serve auto parts stores and diesel mechanic garages. Dodge Cummins Fuel Injector Questions? Call us! We would love to hear from you and answer any questions you might have about Dodge diesel fuel injection and full service diesel repair,OEM 2006 dodge ram 2500 cummins Fuel Injector Kits, Stock Turbo for Dodge Ram Cummins Pickup Truck and more diesel repair parts and services than we can list.